The details of the Buddha's life are not known for certain, but most scholars are in agreement that he was an actual historical figure who lived in northern India around the 5th century BCE. The events of the Buddha's life are recorded in Buddhist tradition and are a favorite subject of Buddhist art. Buddhist tradition divides the life of its founder into 12 glorious events. 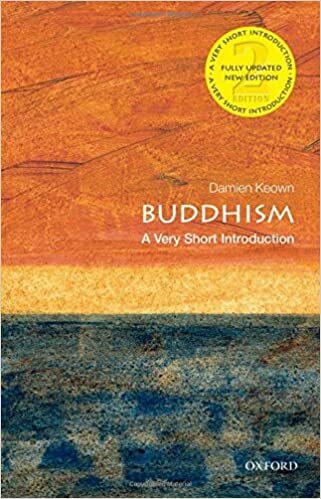 These defining incidents of the Buddha's life are given visual form in densely packed sequences narrated in a special genre of paintings known as the "Twelve Great Deeds of the Buddha's Life" (Tib. Dzad pa chu nyi). These artworks not only delineate Buddha's gradual progress towards spiritual enlightenment, but also present a visual depiction of a vast number of abstract philosophical notions underlying esoteric Buddhism. 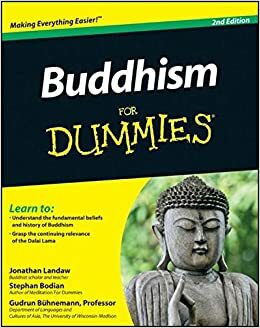 The article that follows outlines the 12 traditional turning points in the Buddha's life and their significance for Buddhist life and art, especially in the esoteric tradition. Before the Buddha was born into this world as Shakyamuni, he was a bodhisattva in the Tushita heaven (home of the contented gods). His name there was Shvetaketu ("White Banner"). From here he witnessed the dark ages engulfing the human realm, leading to its spiritual impoverishment. Moved to compassion like a true bodhisattva, he vowed to manifest himself in the sentient world and relieve people from their sufferings. Indeed, in strictly canonical terms, a bodhisattva is defined as an individual who discovers the source of the Ultimate Truth better known as nirvana, but postpones his own enlightenment until he has guided all his fellow beings to this same source of fulfillment. Thus, Buddha, looking down upon the sentient beings suffering in the throes of ignorance, felt a pang of compassion, and in accordance with his bodhisattva status, decided to descend to the earth and spread the word of Dharma. Visually, Buddha is depicted making this vow surrounded by other sacred beings, holding aloft a lotus flower in his right hand, symbolizing the purity of his intention (see painting, above). The Lalitavistara (1st cent. AD) says that Buddha himself selected the time, place, and caste of his birth. He finally short listed King Shudhodhana and his wife, Queen Mayadevi, rulers of the Shakya (Lion) clan, as his future parents. This generous couple was well known throughout the land for their just and noble bearing. Scriptures assert that Buddha chose a king as his father since the royal caste was more respected that the priestly one. It indeed seems strange that the Buddha, who never believed in the caste system, was so particular in the choice of a Brahmin or Kshatriya family for his own birth. In fact, it was precisely to show the futility of the notion of high-birth as an aid in spiritual salvation that this choice was made. The bodhisattva's descent from the Tushita heaven occurred as a dream to Mayadevi. In this dream, a white elephant approached and touched her right side with its trunk. Through this symbolic act, the bodhisattva entered the womb of Mayadevi and impregnated her. The choice of an elephant as a symbol of her impregnation is a well-thought out metaphor because elephants are known for their strength and intelligence, and also associated with gray-rain clouds and thus with fertility, since rainwater means that seeds will germinate and vegetables will be able to grow. The white color (of the elephant), adds to this an element of purity and immaculacy. The royal fortunetellers explained that the dream announced the queen's pregnancy, and that the newborn would possess exceptional traits. The Zen master Daisetz Suzuki once narrated an interesting story. A young student said to his master, "Am I in possession of Buddha consciousness?" The master said, "No." The student said, "Well, I 've been told that all things are in possession of Buddha consciousness. The rocks, the trees, the butterflies, the birds, the animals, all beings." The master said, "You are correct. All things are in possession of Buddha consciousness. The rocks, the trees, the butterflies, the bees, the birds, the animals, all beings-but not you." "Not me? Why not?" "Because you are asking this question." According to legend, Buddha was born from the right side of his mother. Immediately upon his birth, he stood up and took seven steps, and wherever his feet touched the earth lotuses sprang up. Raising his hand he said: "Worlds above, worlds below, there's no one in the world like me." Finally, Suzuki elaborated. "They tell me that when a baby is born, it cries. What does the baby say when it cries? The baby says 'Worlds above, worlds below, there's no one in the world like me!' All babies are Buddha babies." So what was the distinguishing characteristic of Queen Maya's baby? He knew that he was a Buddha baby. According to Joseph Campbell, "The whole thing of Buddha consciousness means getting to know you are it. That takes a lot of work, principally because society keeps telling you that you are not it." But we are here a bit ahead of ourselves. Mayadevi had successfully carried the Buddha-to-Be for ten months without any complications or pain. Near the end of her pregnancy, she took a trip to her parental home to have the baby there with her mother, an ancient custom that is still sometimes practiced. On the way however there was a pleasant grove, overflowing with a rich profusion of fruits and flowers. Desiring to rest among them, the queen instructed her party to put camp there. She stepped out of her palanquin and reached to grasp one of the branches of a flowering tree. No sooner had she done so than she felt the throes of giving birth. Standing thus, with her hand to the branch, she delivered, and the Buddha-to-Be emerged from his mother's right side. In visual depictions, Mayadevi's unique posture has given rise to an entire genre of feminine imagery, where amply endowed female forms stand sinuously in dance postures with the left leg crossed in front of the right. The lifted hand grasps a tree, entwined around the branch in a manner identical to that of the tree goddesses and female tree-spirits (yakshis) of yore, who denoted fertility in early Indian art. Here, not only does Mayadevi's posture provide a powerful statement presenting her as fertility incarnate, but as the mother of the Buddha-to-Be, she is also the generative source of the enlightenment process. Present at the time of birth were the Hindu gods Indra and Brahma. Normally in those ancient circumstances, everything connected with death, birth, excrement, and blood would have been considered unclean. The presence of these two important deities of the Hindu pantheon has significance over and above political interpretations. It indicates that the birth in question was non-defiling one, graced by their auspicious presence. In paintings, Brahma is easily recognized by his four heads (three visible and fourth invisible at the back). Indra too stands ready, holding a cloth to wrap the baby. The advent of the newborn was accompanied by many pleasurable happenings not the least of which was a bountiful rainfall, leading to a rich harvest and prosperity all around the kingdom. Hence his father gave him the name 'Siddhartha,' meaning 'accomplisher of aims.' He was also called 'Gautama,' which was his clan name (gotra). How he got the third of his popular epithets (Shakyamuni), we will see later. Seven days after giving birth Mayadevi died, and her sister Mahaprajapati raised the prince. Additionally, 32 nurses were appointed after careful selection for his care: eight to carry him, eight to suckle him, eight to bathe him and the other eight nurses to play with him. As the son of the king, Siddhartha was provided with the finest upbringing. His life had ample quantities of both opportunity and security. He received the finest education and mastered all lessons taught to him. In his younger years, he excelled in sports and other contests of skill. The vigorous training befitted the grooming of a future monarch. He was said to particularly excel on the horse and with the bow. The most significant episode of his youth occurred during the contest for winning the hand of the beautiful princess Gopa. An elephant had been placed inside the city gate to test which one was the strongest. Devadatta, Buddha's cousin, killed the animal with one hand. Siddhartha, seeing the mindless killing, picked up the animal lightly and tossed it over the city wall, where it came to life again. Needless to say, Siddhartha was chosen as the groom. When he came of age and assumed royal duties, prince Siddhartha became a true man of the world and had a retinue of many queens and attendant ladies. Narrative paintings depict him at court, consulting his experienced father in the skilful conduct of material affairs. Having been warned by the court astrologers that his son may well give it all up and choose the path of meditation, Buddha's father tried his best to shield him from the harsh realities of life. This state of affairs continued until one day, by chance, while riding his chariot, Siddhartha encountered an old man walking along the road. Intrigued by his first encounter with old age, the prince addressed his charioteer: "Who is this man there with the white hair, feeble hand gripping a staff, eyes lost beneath his brows, limbs bent and hanging loose? Has something happened to alter him, or is that his natural state?" "That is old age," said the charioteer, "the ravisher of beauty, the ruin of vigor, the cause of sorrow, destroyer of delights, the bane of memories and the enemy of the senses. In his childhood, that one too drank milk and learned to creep along the floor, came step by step to vigorous youth, and he has now, step by step, in the same way, gone on to old age." "Without doubt, by the force of time," said the charioteer. He further encountered in such manner a sick man and a dead man, leading to great turbulence in his mind. One day he came across an ascetic mendicant. "Who art thou?" he asked. To which the other answered, "Terrified by birth and death, desiring liberation, I became an ascetic. As a beggar, wandering without family and without hope, accepting any fare, I live now for nothing but the highest good." 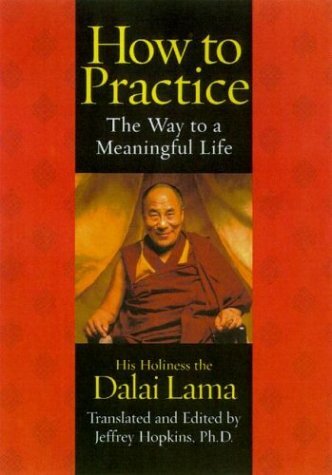 Convinced that herein lay the way to quell his mental agitation, Gautama resolved to follow this holy man's example. d entreated him to revert his decision. To which Siddhartha replied thus: "Father if you can fulfill my four desires, I promise not to leave you. These are: First, I should not die; Secondly, No disease should ever afflict me, youth should never desert me, and finally, prosperity should always be my companion." Hearing these impossible demands, the king was extremely dejected and became resigned to his fate. Gautama left the luxurious palace of his father in the middle of the night, leaving behind his sleeping wife and son. The first thing Gautam Buddha did after leaving his father's palace was to severe his long and beautiful hair with his princely blade. He thought, "These locks of mine are not suited to a monk; but there is no one to cut the hair of a future Buddha. Therefore I will cut them off myself with my sword." And grasping a scimitar with his right hand, he seized his top-knot with his left hand, and cut it off, together with his jeweled turban. His hair thus became two finger-breadths in length, and curling to the right, lay close to his head. Taking hold of his top-knot and diadem, he threw them into the air, saying: "If I am to become a Buddha, let them stay in the sky; but if not, let them fall to the ground." They rose into the air for a distance of one league before Vasava (corresponding to the Indra), the chief of gods, perceiving them with his divine eyes, received them in an appropriate jeweled casket, and established them in heaven. "His hair he cut, so sweet with many pleasant scents, This Chief of men, and high impelled it towards the sky; And there god Vasava, the god with a thousand eyes, In golden casket caught it, bowing low his head." Wandering in his search for enlightenment, Buddha came to a pleasant hermitage by a lovely stream, where, for six years, he joined five mendicants in a way of discipline based on progressively severe fasting. He ate a single grain of rice for each of the first two years, drank a single drop of water for each of the second two years, and took nothing at all during the last two. Consequently, his bones stuck out like a row of spindles, and when he touched his stomach, he could almost feel his spine. His hair fell out and his skin became withered. But all this was in vain. However severe his austerities, perhaps even because of them, the body still clamored for attention, and he was still plagued by material craving. In fact, he seemed more conscious of himself than ever. Buddha had to face the fact that asceticism had failed to redeem him. All he had achieved after this heroic assault upon his body was a prominent rib cage, and a dangerously weakened physique. Finally, it dawned upon him that physical austerity is one of the two extremes, and that the 'Middle Way between these two extremes is the path to enlightenment. He thus slowly rose, and went to bathe in the stream. He crossed over to the far bank where he met a village girl named Sujata who offered him a bowl of rice pudding (kheer). It was the first food he had accepted in years and it instantly restored his body to lustrous good health. Thus nourished, and accompanied solely by his own resolve, Siddhartha strode majestically towards the bodhi tree, to make his last bid for liberation. Abandoning himself to meditation, he vowed not to move from that spot until he had attained full enlightenment. The Defeat of Mara Hearing this solemn vow, Mara, the Buddhist manifestation of death and desire, felt threatened. Mara's power over sentient beings originated from their attachment to sensuous pleasures and the consequent fear of death which lead to intense suffering. Enlightenment would free Siddhartha from Mara's control and provide an opportunity for others to free themselves also by emulating him. Likewise, Mara first sent his three beautiful daughters named Desire (Future), Fulfillment (Present), and Regret (Past). The Buddha had already disengaged himself from these pinnings and thus remained unmoved. This prompted Mara to intimidate the venerable one by installing fear in his heart. Towards this end he generated an army of wrathful and hideous creatures, the very personifications of death. But all through the tribulations, Buddha sat calm and unflinching, and Mara had no other recourse than to withdraw, and thus was cleared the final hurdle on the way to Buddha's enlightenment. The Proclamation of the Teachings Having gained enlightenment, Gautama came to be called Shakyamuni, or the silent lion, indicating the explosive potential he carried within himself. He first went up to Sarnath near Varanasi where he met the five disciples with whom he had previously traversed the path of asceticism. Though they had deserted him after their failed experiment, the unearthly glow from his body now attracted them. Hearing his discourse, they became his first followers. Amongst these five was a disciple named Assaji. Once when Assaji was begging for alms, he encountered an inquisitive gentleman named Shariputra, who was then a follower of Sanjaya Belatthiputta, a renowned skeptic sage of the times. Shariputra, along with his fast friend Maudgalyayana were Sanjaya's fervent and most important disciples. Of late however, they had both started experiencing disillusionment and felt dissatisfied by their master's nihilistic philosophy. Now in this state of mind, Assaji's noble mien and air of self possession so impressed Shariputra that he asked him who his teacher was and what doctrine he taught. Assaji answered him only briefly but it was enough to convince Shariputra. He immediately bounded over to Maudgalyayana and related to him what had happened. Maudgalyayana was able to perceive the greatness of Buddha's teachings and he and Shariputra thereupon resolved to become followers of Shakyamuni. They also brought over Sanjaya's complete entourage of two-hundred-and-fifty disciples to Buddha's monastic order. 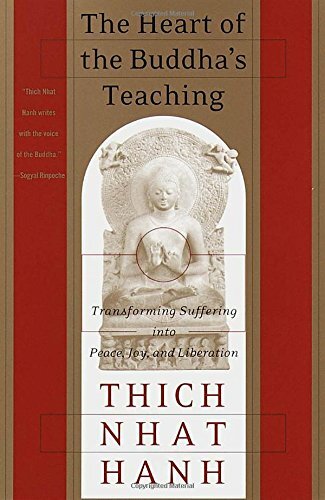 This story is symbolic of the transformation Buddha's teachings bought about in the prevailing milieu of the times, wherein an entire school of thought came under the influence of his teachings. Later on Buddha was to predict that these two would become the foremost of his disciples. Thus, characteristically, in the narrative paintings outlining the significant episodes of Buddha's life, there is nearly always at the center, a dominating image of Shakyamuni, flanked by his two devoted disciples Shariputra and Maudgalyayana. The Descent from the Trayatrimsa Heaven Queen Maya, after her death, was said to have been reborn in the Trayatrimsa heaven. Having attained enlightenment, Buddha decided to ascend to the Trayatrimsa heaven, literally the heaven of thirty-three gods, to visit his mother. The name 'thirty-three' derives from the fact that it is the residence of the 33 gods of Hinduism, an ancient notion, having roots in Vedic thought. With three strides Buddha reached the heaven, where he preached before the divine congregation, including his mother, for several months. In painted depictions, we see the Buddha seated on the throne of Indra, the king of the gods, sitting in the so-called European position, with his legs hanging down. When the inhabitants of the earth fervently supplicated him to return, Buddha coasted downwards with the help of a ladder that had thirty-three rungs, handcrafted by the divine architect Vishwakarma. This descent is the most celebrated event of the entire episode and is often glorified in independent artworks. This legend cosmicises the historical Buddha in several ways. His ability to move between the two worlds is clearly indicative of his transcendental and divine nature. Moreover, the ladder here, reminiscent of the story of Jacob's ladder in the Bible, serves as a cosmic pillar that connects heaven and earth and is echoed in Shiva's symbol, the lingam. There too the lingam stretches from the heaven down to the netherworld and is worshipped by Brahma and Vishnu. Similarly, the descending Buddha is revered by Indra and the four-headed Brahma, as well as other sacred beings. Yet another link is reflected in Buddha's taking three steps, both on the way up and down. The idea is clearly related to Vishnu's three strides in the myth of the Vamana (dwarf) avatar. Traveling great distances to disseminate his teachings, Buddha finally reached the city of Kushinagara, where he asked his disciples to spread a couch for him in a grove. He lay there, reclining on his right side, facing west, with his head supported by his hand. Shakyamuni realized clearly that death was approaching. Towards midnight of the same day, the event known in Buddhist terminology as the Parinirvana, or "Final Nirvana," took place. It was a full-moon night and also his eightieth birthday. The Enlightened One passed through progressively higher planes of meditation until he attained entry into Parinirvana. One scripture gives an eloquent description of the scene: "The trees burst into full bloom out of season, bent down over the Buddha, and showered his body with their flowers, as if to do him supreme honor. There were heavenly flowers that rained down and scattered over the venerable one. . . . And the world was like a mountain whose summit has been shattered by a thunderbolt; it was like the sky without the moon." The death of a truly great man often marks the beginning rather than the end of an era in terms of the progress of human spirit. The difference lies in whether that man lived essentially for his own glory or devoted his life to the pursuit of eternal principles of truth and to the true happiness of all mankind. The image of the dying Buddha is not supposed to evoke sadness as much as a feeling that all beings have the potential to become enlightened and attain release from the sufferings which characterize samsara. His serene, composed, and restful demeanor (he is actually slightly smiling) is meant to communicate his attainment of the highest state of Indian meditation, that of a deep, quiet and blissful sleep known in Sanskrit as 'turiya.' This is precisely the reason why 'Parinirvana' is thought of as the 'final' or 'highest' nirvana. - This article consists primarily of material written by Nitin Kumar of Buddha Art. Used by permission. Life of the Buddha Met Special Topics, Metropolitan Museum of Art. Books on the Life of the Buddha - Armstrong, Karen, Buddha (Viking Penguin Inc., 2001). Campbell, Joseph, Transformations of Myth Through Time (New York, 1999). Ikeda, Daisaku, The Living Buddha: An Interpretive Biography (Tokyo, 1989). Herold, A. Ferdinand, Life of Buddha (Kessinger Publishing, 2003). 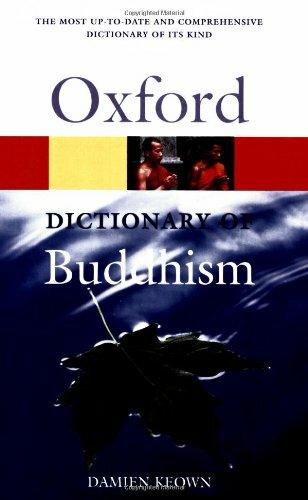 Keown, Damien, Oxford Dictionary of Buddhism (Oxford, 2003). Khosla, Dr. Sarla, Lalitavistara and the Evolution of the Buddha Legend (New Delhi, 1991). Kumar, Nitin, Buddha - A Hero's Journey to Nirvana (Exotic India article of the month): April 2003. Menzies, Jackie, Buddha Radiant Awakening (Sydney, 2001). Nanamoli, Bhikkhu, The Life of the Buddha: According to the Pali Canon (BPS Pariyatti Editions, 2001). Nelson, Walter Henry, Buddha: His Life and His Teaching (Putnam Publishing Group, 2000). Thomas, Edward J., The Life of Buddha in Legend and History (Dover Publications, 2000). Boeree, C. George. 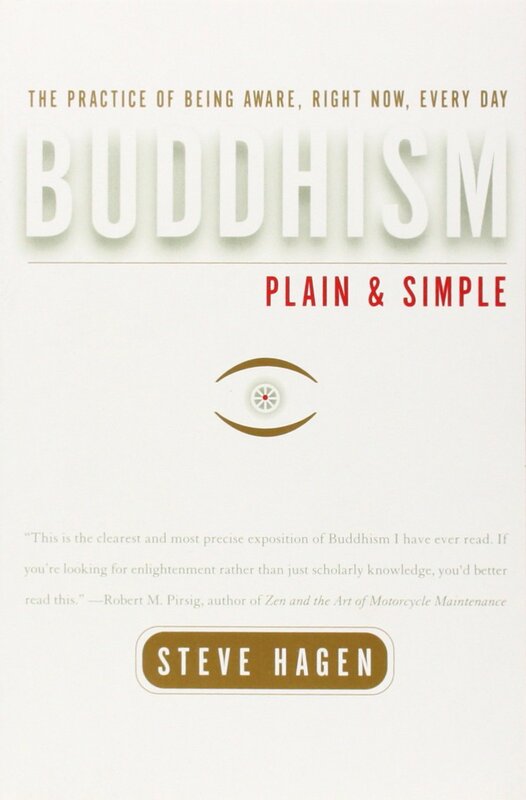 “Map of the Buddha's World.” An Introduction to Buddhism. . Web. Accessed 26 Jan. 2017. Boeree, C. George. 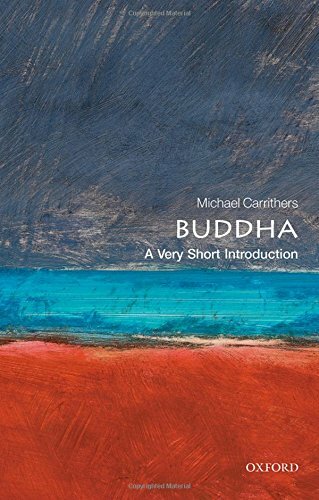 “The Life of Siddhartha Gautama.” An Introduction to Buddhism. . Web. Accessed 26 Jan. 2017. Hanh, Thich Nhat and Thich Nhat Hanh. 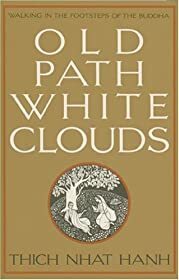 Old Path White Clouds: Walking in the Footsteps of the Buddha. Parallax Press, 1991.